You might be asking yourself just what in the Sam Hell a gooseberry is. I first had these tart little beauties at a tiny English Tea room in San Antonio, which is probably the oddest place in the world to have them. They really only grow in cold climates like England and the Northeastern Seaboard of the U.S. In the tea room, my pal Liz and I had gooseberry crumble. The gorgeous tart berries hidden under crispy crumble and topped with fresh cream were a divine revelation. I’ve thought about that dessert often since then, but until a few weeks ago, had never found a fresh gooseberry for sale. An early morning trip to our town’s farmer’s market brought excitement and joy. I just knew that the gooseberries would pair perfectly with the Honey Crisp apples I’d picked up at the stall before. Apple pie is probably James’s top dessert, though it fights for that position with Carrot Cake. He was pretty happy to come home from work and see this baby chilling on the counter top. 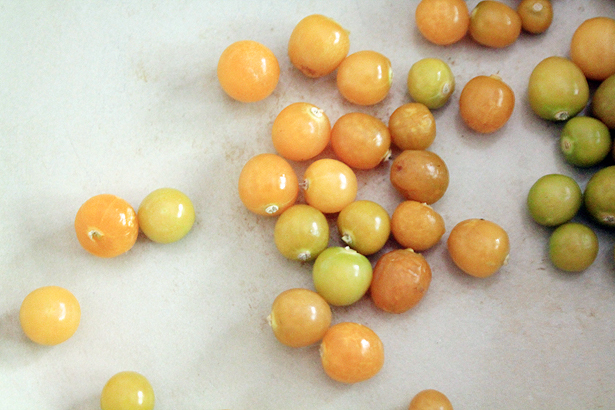 Gooseberries are in the Tomatillo family, so they have a similar papery husk that comes right off. In England, Gooseberries are green, but here in the U.S., they tend more towards an orange hue. As they’re mixed into the apple pie filling and cooked down, they add a perfect tartness you might also get with lemon juice. They pop when you bite into them, much like a cherry or tomato, but there’s a sweet-sour note that will surprise and delight. So go on, have a slice. I may or may not have had one for breakfast the day I took these photos. Note: I have learned that this pie is in fact made with Cape Gooseberries, which are a different species to the Gooseberries grown in England. However, their flavor profiles are almost identical, and you can use them interchangeably. 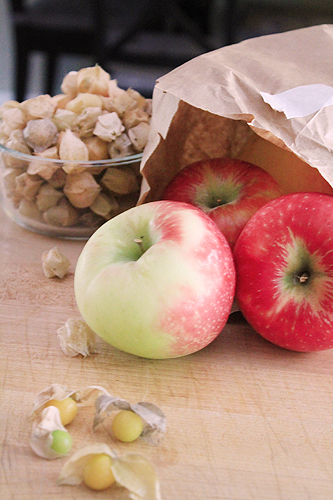 Peel, core, and slice apples into 1/4″ thick slices. Place in a bowl and sprinkle with lemon or lime juice, whatever you have on hand. De-husk and wash gooseberries. In a large pan, melt butter on medium heat. Add sugar, apple pie spice, and vanilla extract. When well combined and liquidy, add apple slices and gooseberries. Stir well to coat the fruit, then reduce heat to low and simmer for half an hour to an hour, until fruit is nice and soft. 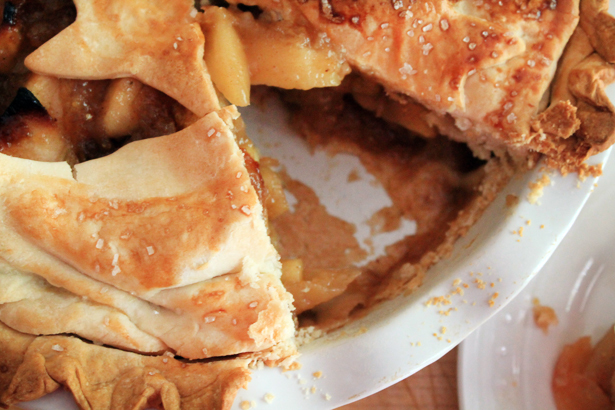 In the meantime, prepare your favorite pie crust for a 2-crust pie. Homemade, store-bought, we’re not going to judge. 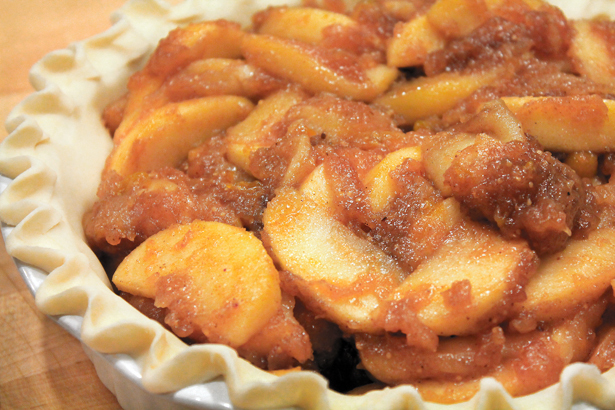 When the fruit is nice and soft, add KAF’s Pie Filling Enhancer and stir continuously until liquid is thickened. Immediately pour into prepared pie crust lined dish and top with second pie crust. Make sure to vent. Bake at 425F until golden brown, usually about an hour. Make sure to cover the edges until about the last 20 minutes of baking to prevent over-browning. 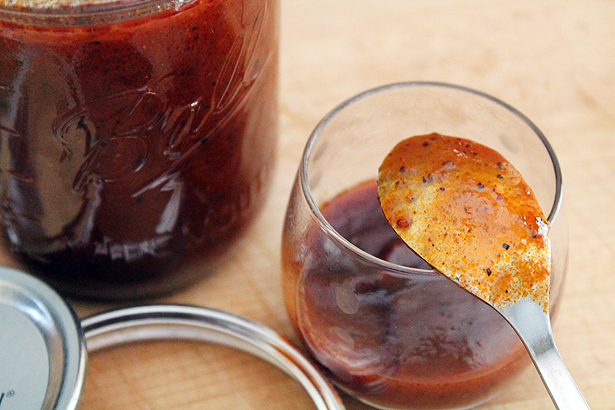 This filling can also be used in cobblers, crumbles, or crepes. Enjoy! That looks like a delicious recipe! 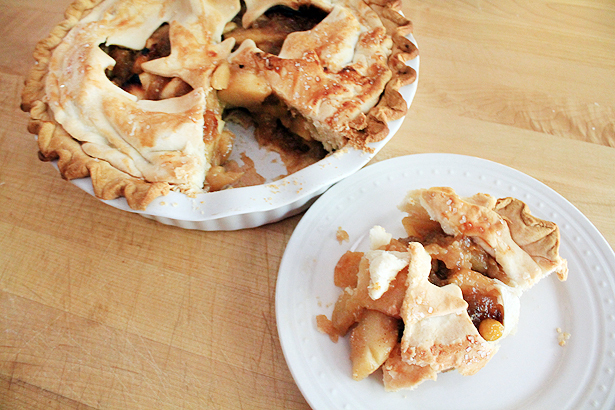 I grow both Gooseberries and Cape Gooseberries, so I’ll have to try this pie with both fruits. Thank you for posting this! I’ve heard of gooseberries before, but never used them in my kitchen. I think this pie is calling my name, though. Yum! I love the sound of this pie! I saw gooseberries at the you-pick farm this year but didn’t get any – I’ll have to put them on my list for next year!! I have never had gooseberries – they are certainly adorable though. I need to check the local market to see if they have any because I am certainly intrigued by the sour note. Lovely pie, Amber. Is this related by any chance to shnozberries?! Tee he hee! Still loling that you found gooseberries in SA! Now im curious! They do look like bitty tomatillos! Very interesting post and gorgeous pie! I love the beautiful cut out top! I wish we could find gooseberries more easily around here. Now how did you know what I was asking myself? Actually I’ve heard of them but never in all of my many years have I ever seen them available at any market ever; at least now I know what to look for! Your crust is beautiful Amber. Gorgeous even. Well look at that – GOOSEBERRIES! I’ve never made anything with them before. This pie is simply beautiful. When I was a kid, I lived in Germany for 6 years and used to go pick Gooseberries!! I was so excited when I saw the title of your post, I had forgotten about them. I can’t lie: I thought a Gooseberrry was something from Willy Wonky’s flavored wallpaper. The things you learn (and now drool over) every day. gooseberries are so hard to come by but boy, when you’re lucky enough to snag??? heaven!!! homemade gooseberry pie w/good vanilla ice cream is a dream come true . . . and jam spread on toast for breakfast in the morning? girl, i’ve died and gone to heaven!! Oh I love gooseberries and this pie looks like such a wonderful way to use them!